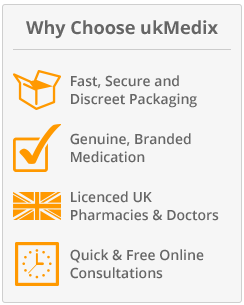 UKMedix avails authentic prescription medication sourced from world's best and trusted pharmaceutical brands. As a result customers are provided with some of the highly tested, tried and trusted medication in the world today with a clear record and history of success in treatment of specific conditions. Tamiflu from Roche available at UKMedix is a genuine medication. Contact us with any question or request for professional medical advice and help to deal with a disturbing flu. Our online consultation forms allow our medical team to understand your flu problem better and offer the best treatment course. They'll get you that prescription your body requires to start fighting off that debilitating flu. It's worth remembering our professional team of doctors is always ready to serve you. 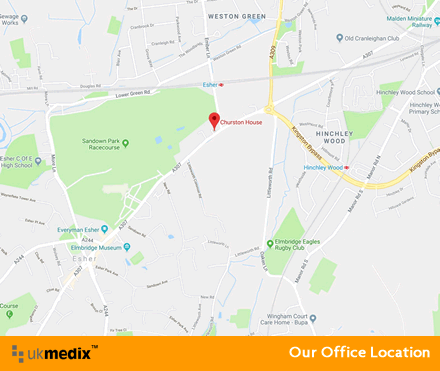 Connect with the UKMedix doctors for undivided help and useful advice provided for free without obligation whenever you need it. Tamiflu is the brand name for oseltamivir phosphate an antiviral oral medication approved to treat uncomplicated though acute influenza among patients who are two weeks old and above. Treatment is usually advised if the flu symptoms have been observed for over two days. Tamiflu is prescribed for the treatment of Type A and Type influenza as well as for influenza treatment among children who are a year old and above as well as adults. Nursing and pregnant women can use Tamiflu. The reason is because women who are pregnant and suffering from influenza could develop very severe complications if the condition was not treated. Nonetheless, it's advisable that the pregnant woman talks with her doctor first. Tamiflu should be taken 48 hours after the onset of influenza symptoms. The medication comes in liquid or capsules form and can also be taken with meals particularly to lower chances of stomach upset. A light meal or snack is enough. Those exposed to flu around them but symptoms haven't showed yet could take the medication to prevent themselves from attaining the flu up to about six weeks. To treat flu in teens and adults who are 13 years of age and above, 75mg two times everyday for five days is enough. Children two weeks old to around 12 years of age should take a single dose based on their weight, two times daily for five days. You've the choice of liquid form or capsule. For the prevention of the flu particularly among teens and adults who are 13 years old and above, a single dose daily for about ten days is alright or as the doctor has prescribed. Remember one dose is usually 12.5ml or 75mg for teens and adults who are 40.1kg and above. Children from one year of age to 12 years old can take one dose in relation to their weight everyday for ten days or as the medical practitioner has indicated. If you have missed a dose of Tamiflu take it immediately you are aware about it. However, if it's about 2 hours and below before you take the next dose as scheduled, simply continue the intake of the medication at the scheduled times. Avoid taking two doses simultaneously to cater for the dose you missed. In itself the drug is not effective virally until it has reached the liver where it's hydrolysed, releasing the active metabolite that works, known as oseltamivir carboxylate. As a neuraminidase inhibitor, the medication competitively inhibits the viral neuraminidase enzyme action. This happens on sialic acid within glycoprotein found on the host cells surface. As the enzyme's activity is blocked, Tamiflu blocks the release of newer viral particles as a result ensuring the release of virus is not facilitated. From the American Academy of Paediatrics, European Centre for Disease Prevention & Control, America's Centre for Disease Control and Prevention to the Public Health England Tamiflu has been recommended for high risk usage. This includes usage among people who carry the highest risk of being infected or those already with complications. Such high risk individuals include hospitalised individuals, people who�re 65 years of age and above, young children, those with health problems, pregnant women among others. Should I buy Tamiflu online? When you want to treat both Type A and Type B influenza you need the best antiviral medication capable of giving you the results you need. UKMedix offers a reliable, fast, legal and approved way of availing the medication you need and great medical doctor knowledge, advice and help online. You don't have to leave your house or office while still suffering from a serious flu-one of the best team of medical professionals are on the other end ready to offer you a free consultation and medical advice. Avoid purchasing flu medication from sites whose legality or authenticity cannot be established. You need a genuine medical team ready to endorse a prescription for you to receive the flu treatment you need. UKMedix is certified, legal and approved to sell quality medication as testified by the MHRA badge of approval link on our site. If you click the certification badge it'll take you to the MHRA official government site. Ensure the prescription medication you are buying is from a certified and approved website to avoid putting yourself or family into danger. Fake and illegal medication could damage your health further. Like in most drugs unusual behaviour might be observable not necessarily caused by Tamiflu but due to taking too long to treat the flu. Any unusual side effect should be observed by a doctor. To reduce chances of side effects the medication can be taken with meals. Sometimes even with all the information about Tamiflu out there you might want real, authentic and clear information from qualified medical professionals. UKMedix avails this chance to anyone who would like to talk with our medical team directly to know about the medication and ask additional questions if any. Remember at UKMedix talking with our team of doctors doesn't obligate you to purchase Tamiflu or any other drug. Advice and help is accorded confidentially, freely and objectively.